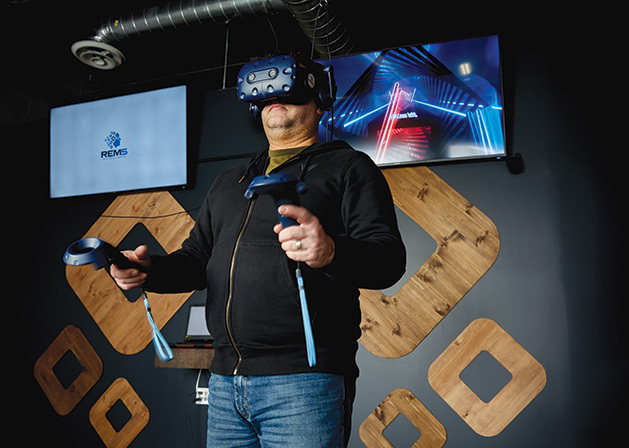 Eden Prairie High School grad is redefining the reaches of virtual reality. Virtual reality may seem like a concept couched in sci-fi novels and space-age movies, but the cutting edge technology is becoming more accessible every day. One Eden Prairie High School graduate and his St. Louis Park company are taking the technology beyond entertainment and showing the Twin Cities and beyond just exactly what it’s capable of doing and how the technology can open doors for people from all walks of life. 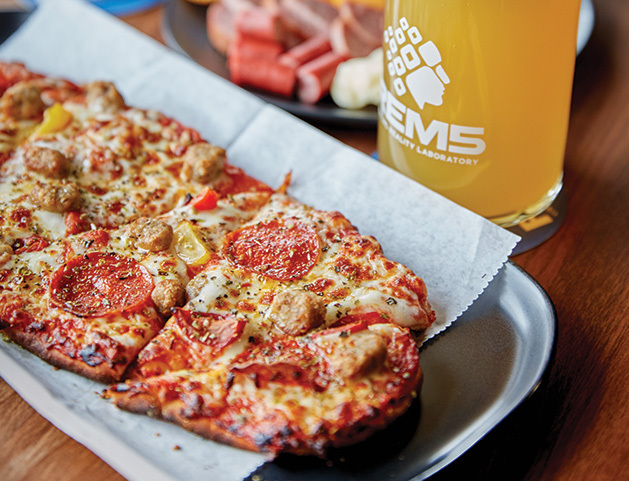 “We want to make [it] something that everyone can enjoy,” says Amir Berenjian, a co-founder with Travis Hoium of REM5 Virtual Reality Laboratory, which opened in October of 2018. REM5 (which is supposed to signify both the REM cycle one experiences while sleeping and dreaming and the five senses experienced by humans) has the feel of a brewery (with appetizers, pizza and local brews to match), but here, all of the entertainment is provided by the virtual reality headsets that allow their wearers to fully immerse themselves in whichever world they choose from the menus offered at the front desk. Adventurous players can do everything from slaying zombies to playing dodgeball with their friends, while those who are just dipping their toes into the VR waters can channel their inner Bob Ross with a 3D painting simulator, go deep sea diving and swim amongst digital turtles, get frosty during a snowball fight, engage in different careers with job simulators and even walk on a plank several stories above a busy city. “It goes beyond gaming,” Berenjian explains, who is, self-admittedly, not that much of a gamer himself. Berenjian, however, sees the power virtual reality has in both entertaining the masses and changing lives for the better. While the list of examples Berenjian has of virtual reality being used altruistically is a long one, a highlight is the work REM5 is already doing for education.